The New York Rumble welcome the Boston Whitecaps for the final home game of the 2016 season. Bring the whole family for games and contests, great food and drink, and of course, the best ultimate frisbee action. The New York Rumble welcome the Philadelphia Spinners for the fourth home game of the 2016 season. Bring the whole family for games and contests, great food and drink, and of course, the best ultimate frisbee action. The New York Rumble welcome the Washington DC Current for the third home game of the 2016 season. Bring the whole family for games and contests, great food and drink, and of course, the best ultimate frisbee action. 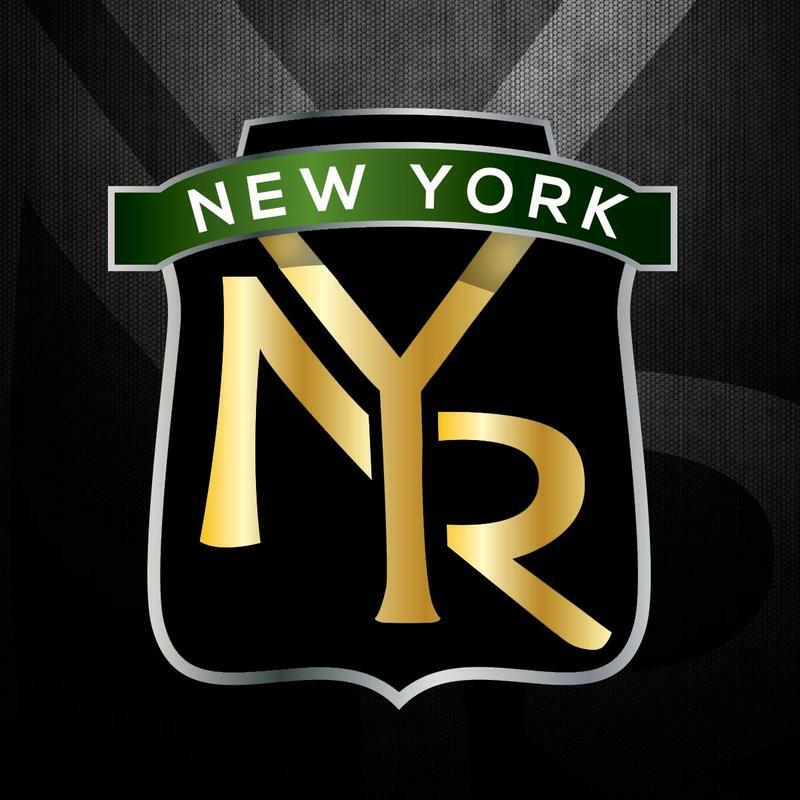 The New York Rumble welcome the Boston Whitecaps for the second home game of the 2016 season. Bring the whole family for games and contests, great food and drink, and of course, the best ultimate frisbee action. The New York Rumble welcome the Philadelphia Spinners for opening day at Bell Stadium. Bring the whole family for games and contests, great food and drink, and of course, the best ultimate frisbee action. 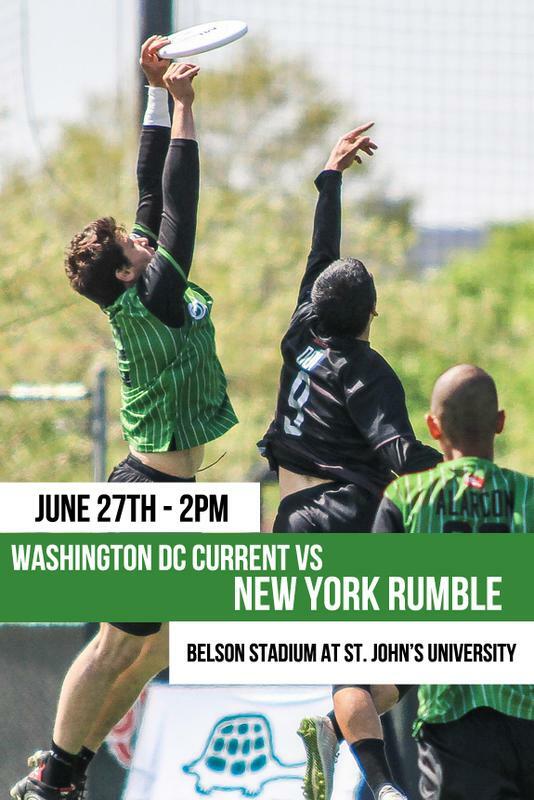 Come see the New York Rumble close out the regular season against the MLU Champion Washington DC Current! 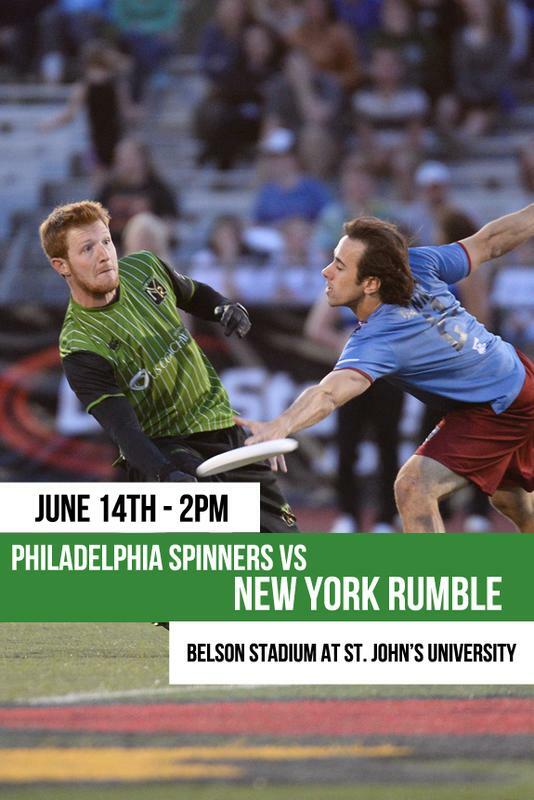 Come see the New York Rumble take on the Philadelphia Spinners! 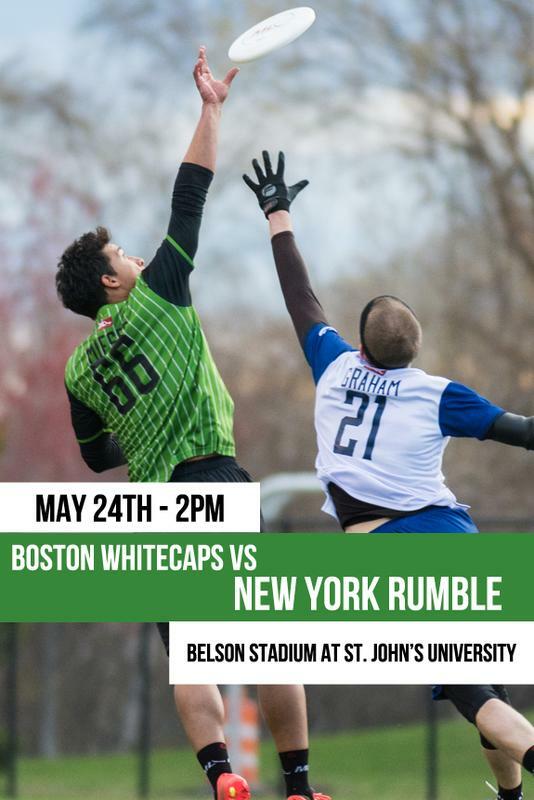 Come see the New York Rumble take on the rival Boston Whitecaps!